Alaska is a midnight sun playground with far more wildlife and natural beauty than one person could experience in a lifetime. Our employees get to spend the entire summer here and have a wealth of activities at their fingertips once they punch out for the day. From hiking and fishing to late-night barbecues, it’s rare that anyone has trouble finding fun in the extended daylight hours. 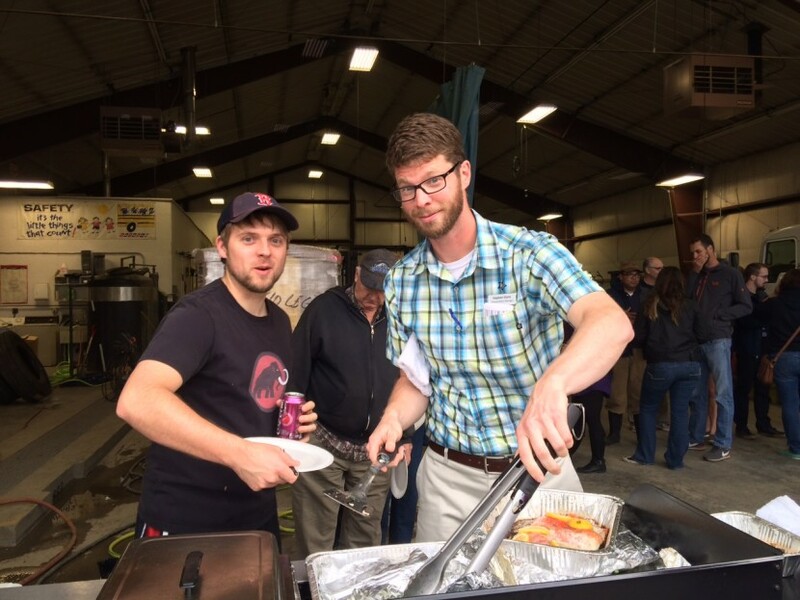 Here are some of our employees’ favorite activities that keep them coming back year after year! 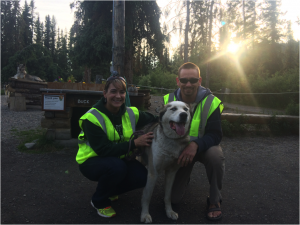 In Denali, a couple of our employees, Sara and Pat, take a national park sled dog named Sitken on long walks and hikes a few times a week. Although Sara and Pat just visit and play with Sitken, the park has an entire program that matches dogs with new homes after they age out of racing. If you couldn’t get enough of the sled dogs on your trip and you live in a cool, northern climate, consider submitting an adoption application and bringing one home for good. Another one of our employees spent his free time last summer walking every single mile of the Denali Park Road. That’s 92 miles of trekking through mountains and valleys, with breathtaking views of the Alaska Range every step of the way. He enjoyed it so much, he plans to do it again this summer. There is plenty of camaraderie within the staff and they certainly know how to have fun together. After-work group activities are one of their favorite ways to kick back. This summer, a group of employees decided to join a local softball league, taking team building to the next level. Another employee went fishing with some friends and came back with 45 pounds of salmon. The staff enjoyed a classic Alaska barbecue with some of the tastiest fish in the world. Guests looking for their own fishing experience can join our Denali fly-fishing excursion to Fish Creek, or simply enjoy one of our many delicious salmon dishes offered at the King Salmon Restaurant. Our employees are just as excited about the great outdoors as the guests that visit our lodges. They spend every possible moment enjoying all the experiences Alaska has to offer, from heading out on their own adventures to joining some of the Princess excursions. Next time you’re at one of our lodges, be sure to ask one of the employees what they like to do during their time off in the area. You might just find yourself a new favorite activity.